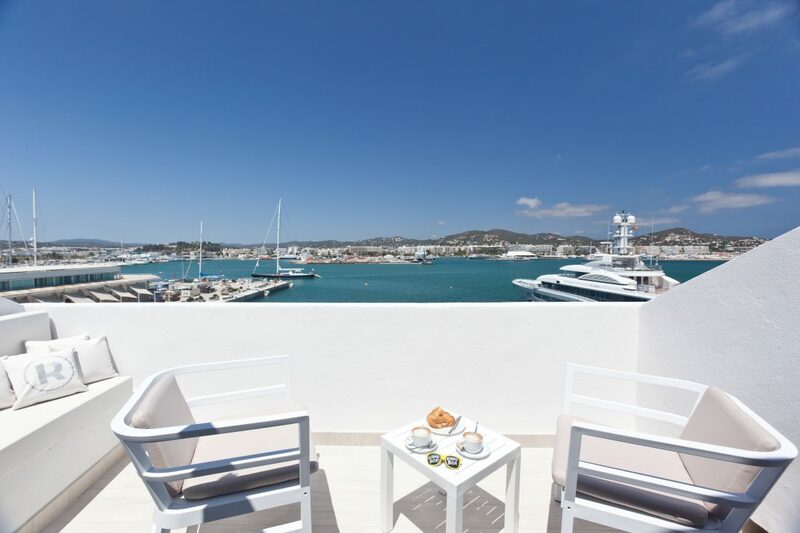 Ryans La Marina is a modern, boutique style hotel found in Ibiza Old Town, between Dalt Vila, a UNESCO world heritage site, and the port of Ibiza, making it the ideal spot for young travellers who want to combine historical culture, food, shopping and lively nightlife. 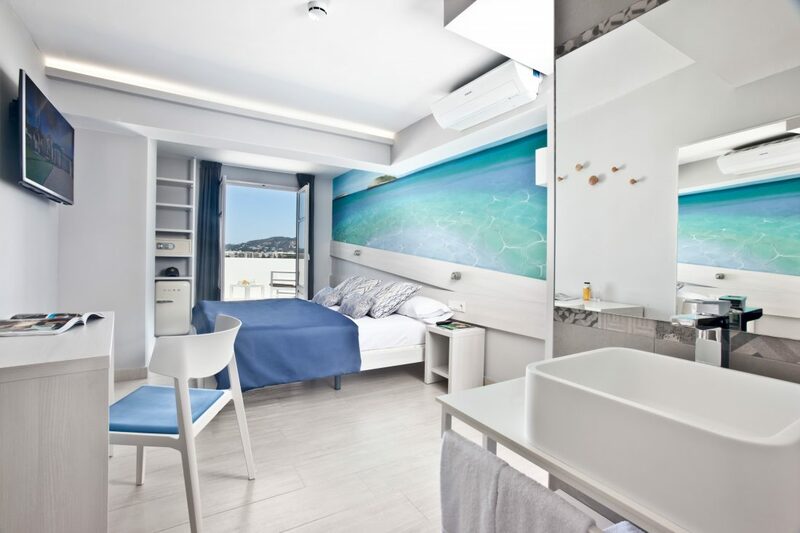 Ryans La Marina’s 49 rooms have a simple, clean interior, mixing blue and white tones with colourful artwork to add vibrancy. Guests can enjoy sea views and watch boats go by from their own private balcony in the main building as well as a range of amenities such as free Wi-Fi, a flat screen TV and a mini fridge. 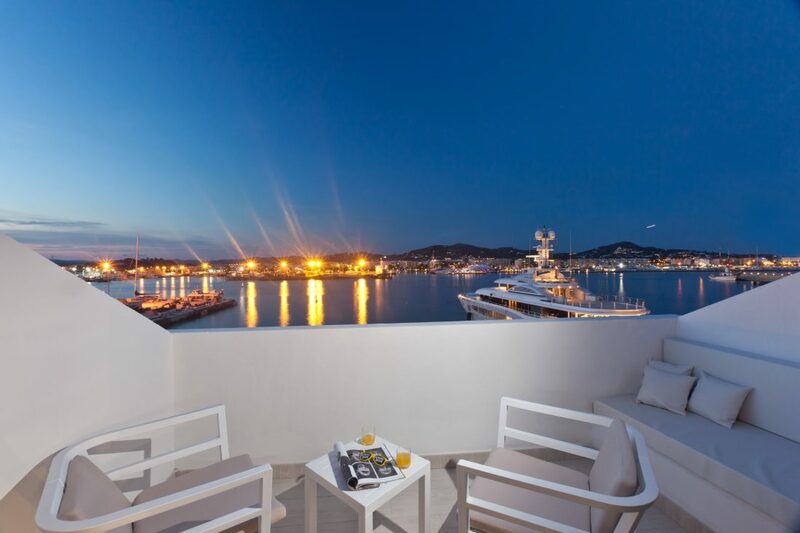 With a traditional Ibizan façade, consisting of a white exterior and shuttered windows, and the sleek, contemporary interiors, Ryans La Marina has successfully combined two different sides of Ibiza, giving holiday goers the chance to experience the island in a different light. 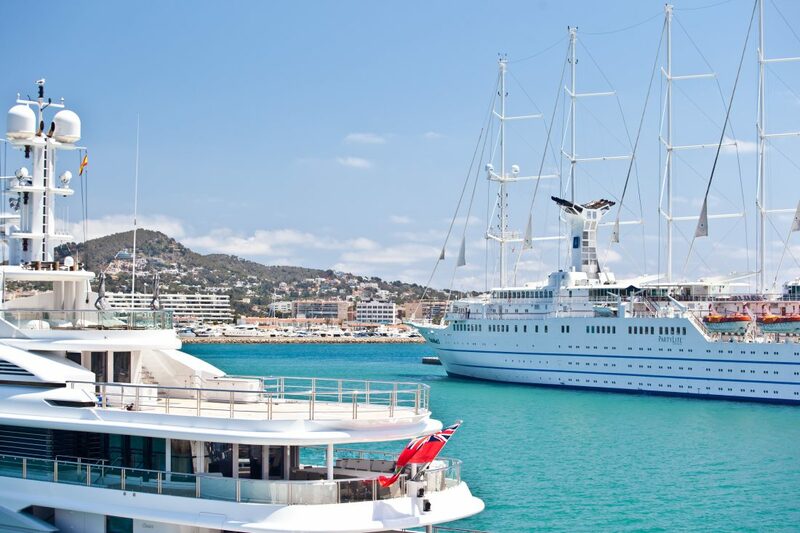 The hotel’s location, in the lively Marina district, ensures that guests can get anywhere with ease. Talamanca beach is just 1km away from the hotel and with ferries to Formentera and some of the island’s other beaches within walking distance, guests can be out exploring in no time. 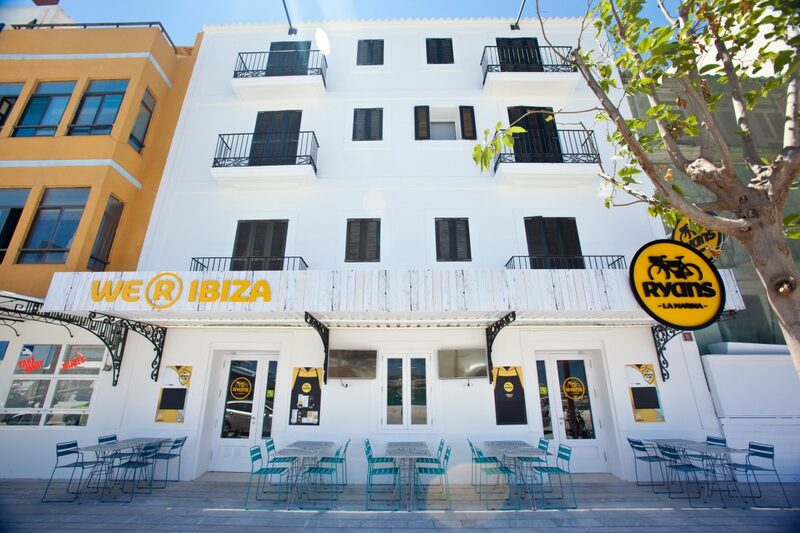 With a host of different bars and restaurants on the hotel’s doorstep, Ryans La Marina is the perfect base for guests looking to explore Ibiza’s vibrant atmosphere and also discover the beautiful winding cobbled streets of the Old Town. 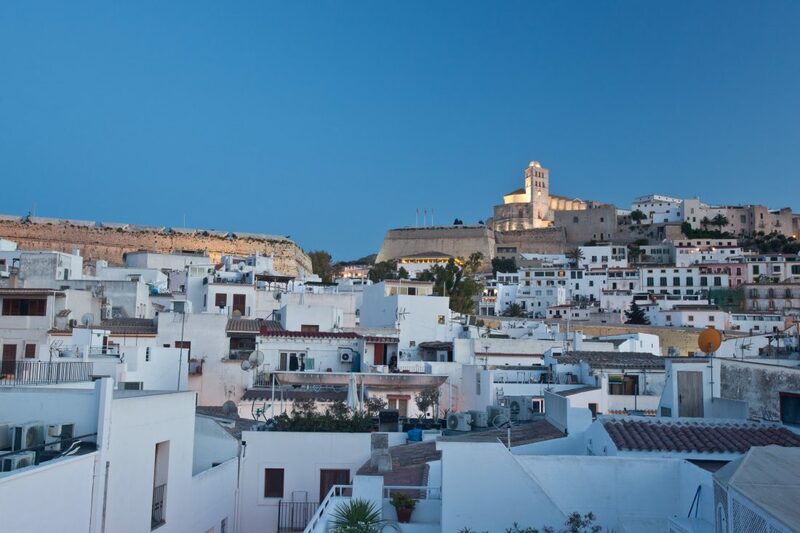 For those wanting a break from the incredible Ibiza nightlife, the Old Town offers an array of charming boutique shops and historical sites including the cathedral of Santa Maria d’Eivissa which sits at the top of Dalt Vila. 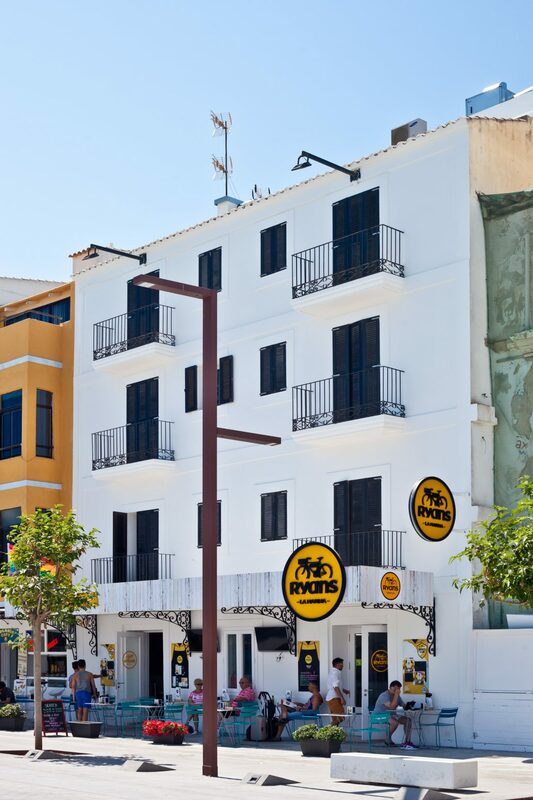 The hotel has its own bar and restaurant for guests to enjoy a range of traditional Spanish tapas and tasty bar snacks, as well as a selection of refreshing cocktails before heading out into the town. Ryans La Marina is an ideal spot for adventurous young travellers looking to enjoy a getaway that offers a different take on Ibiza.